Sarah Wiseman Gallery is proud to announce 'Meadow and Shore' a solo exhibition of new prints by Angie Lewin. Featuring brand-new prints, this will be Angie's second solo exhibition at Sarah Wiseman Gallery. 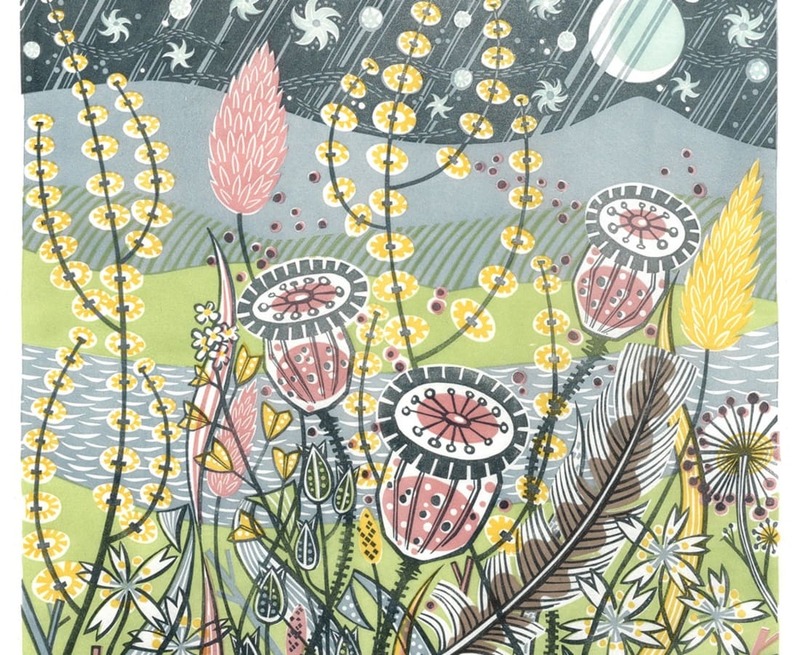 She says, 'The native wildflowers of England and Scotland are the subject of the limited-edition wood engravings, linocuts and screen-prints in this exhibition. 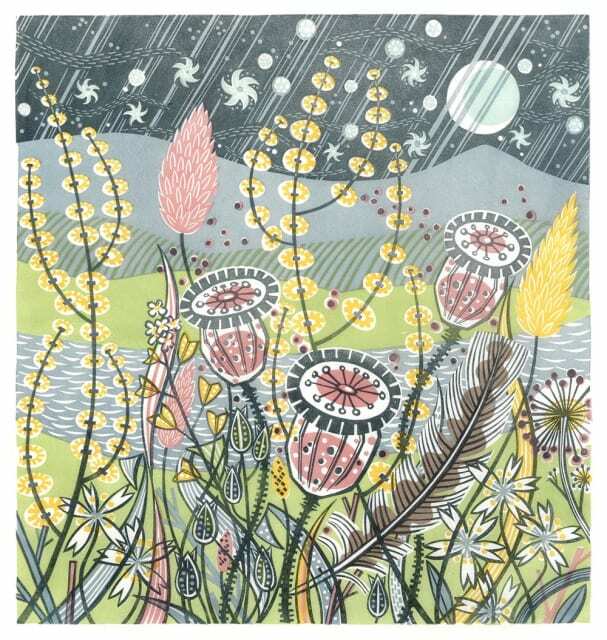 Angie Lewin's printmaking has earned her devoted collectors all around the world. Her keen eye for detail and bold yet delicate style is utterly distinct, as she moves with ease through several printmaking techniques which include lithography, silkscreen and wood-engraving. Her palette is soft, even muted in tone, but with punches of strong colour, such as with the glossy red rowan berries typically found in the Scottish countryside. With her Norfolk-inspired work, chalkier tones with strong blues are in evidence. As well as working on editions of her prints, Angie designs textiles for St Judes, the company she runs with her husband Simon. Dividing her time between Norfolk, Edinburgh and Speyside, Angie's work is very much influenced by her natural surroundings. Angie will spend much of her time outside, sketching and collecting shells, leaves and feathers to add to her still-life. This new solo exhibition will follow the publication of the book 'The Book of Pebbles' (St Judes) in collaboration with Christopher Stocks in March 2019. Please e-mail info@wisegal if you would like to receive an e-catalogue before the opening of the exhibition.